Members of the public will soon be able to link people sleeping rough with homelessness services through an online reporting platform, following a recent pilot program in Sydney. 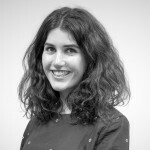 During the festive season, crisis centre Jewish House and opinion website The Big Smoke partnered in a campaign to encourage the community to collect and submit real-time data to track rough sleeping numbers and locations. The online form, titled Don’t Walk By – Do Something To Help Our Homeless, asked for the homeless person’s location, approximate age, gender, and any physical or identifying factors, such as whether they were with a pet, as well as if they were seen regularly. The campaign had close to 150 reports in the week leading up to Christmas. Jewish House CEO Rabbi Mendel Kastel told Pro Bono News it was an important first step in a community-led and big-data approach to tackling homelessness. “What it… showed is that people are willing to make reports, and [that] creates a background for us to develop the data collection idea further, in a more serious way down the track… which can then be fed to the outreach services,” Kastel said. As part of the campaign, Jewish House and The Big Smoke also used the data to deliver care packages to rough sleepers on Christmas Eve. In what Kastel called an Australian first, the packs included an inflatable couch, which can double as a bed. “The usual, the blankets, the food, the brushes – it’s all done by so many wonderful organisations, so we were thinking: ‘What is it we can do that’s a bit different and that can bring something meaningful to people on that evening?’” he said. “And we came up with the idea of these inflatable lounges. Then we had to source them, but that was another story. 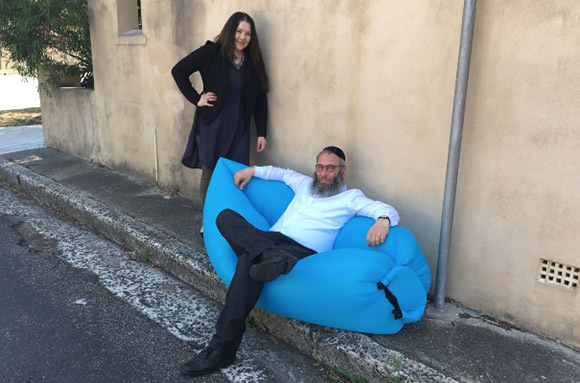 Jewish House CEO Rabbi Mendel Kastel and The Big Smoke founder Alexandra Tselios. The inflatable couches, which are also printed with a homeless helpline number, are designed to be foldable, storable and easy to carry around. Kastel said all aspects of the campaign gave the community an opportunity to connect with and take action on the issue of homelessness. “There was a group of volunteers who went out who were able to interact with the homeless people, and it gave them a real sense that they’re people just like anyone else and each one has a story,” he said. He said the community-collected data would be “very important” in addressing homelessness, and the new digital platform, currently under development, would also provide people with updates following their report. “They’d get feedback to say your person’s been seen,” he said. Plans for the more-sophisticated reporting platform, to be followed by an app, were inspired by successful models in New York and London, which have made measurable impacts. “London has got a policy called No Second Night Out, so if you find somebody who’s homeless, the government’s responsible for trying to get them off the streets immediately so they don’t spend another night on the street,” Kastel said. “New York actually publishes every day on their website the number of people that have been reported homeless so you can actually see day on day what the state of homelessness is on the streets of New York. Kastel said the new platform could be up and running in a matter of months. Are you guys aware of the great work the Mercy Foundation in North Sydney is doing in this area? They already have a project up and running in a few sites in NSW – including City of Sydney and across Australia. It’s called ‘Registry Week’. Check it out.